Some cool air-to-air images taken during UNITAS 2015 Exercise. UNITAS 2015, the U.S. Navy‘s longest annual multinational maritime exercise, is part of the Southern Seas deployment planned by U.S. Naval Forces Southern Command/U.S. 4th Fleet. This 56th edition of UNITAS is conducted in two phases: UNITAS Pacific, hosted by Chile, Oct. 13-24, 2015 and UNITAS Atlantic, hosted by Brazil scheduled for November. 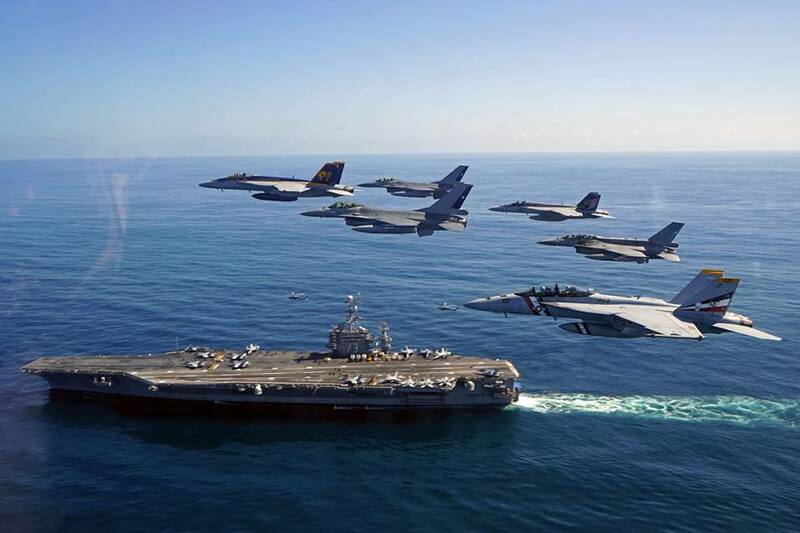 U.S. Navy aircraft embarked on the USS George Washington (CVN 73), such as the F/A-18E Super Hornet from the “Kestrels” of Strike Fighter Squadron (VFA) 137 and the F/A-18F Super Hornet from the “Bounty Hunters” of Strike Fighter Squadron (VFA) 2 featured in these pictures, are also part of the exercise. 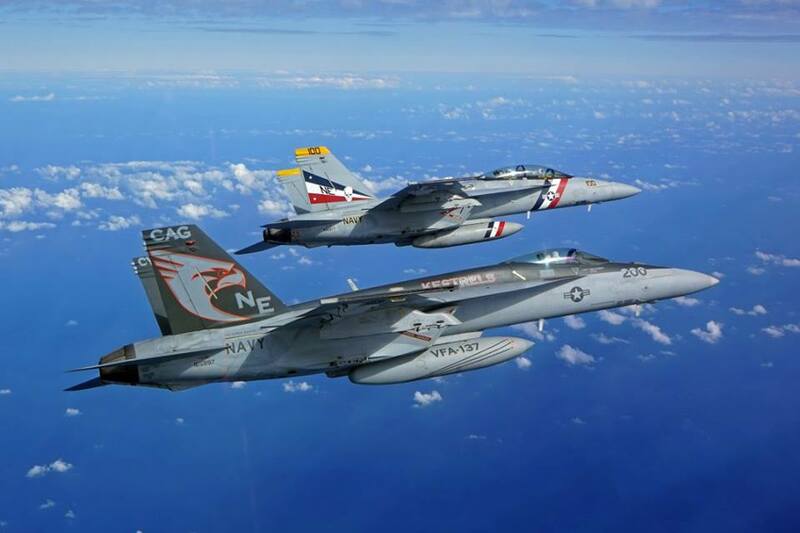 Chilean Air Force F-16s take part to UNITAS 2015 too, and on Oct. 20, three of them performed a flypast over the USS George Washington in formation with three Super Hornets. Is Star Wars Canyon, America’s Plane Spotting Jewel, At Risk Of Overuse? 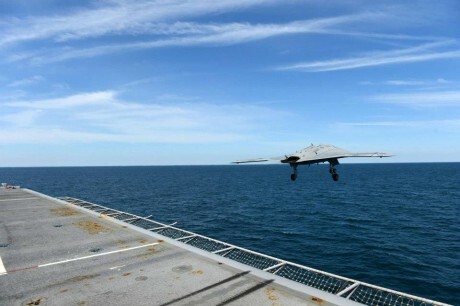 [Video] U.S. Navy launches its killer drone off the deck of an aircraft carrier. A new era has begun.